The word became widely known when it was used by Malcolm Gladwell in The Tipping Point. Gladwell describes how a few key individuals can influence a large numbers of people. 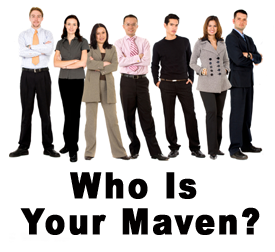 Obvious examples include technology pioneers like Jobs and Zukerberg but maven can be said to be present in every sphere of activity. Despite his vociferous denials, Malcolm Gladwell himself is a maven in the area of pop psychology. In marketing, the word has a slightly different usage. gladwell internet words maven trendy terms Where does this word come from? Labels: gladwell internet words maven trendy terms Where does this word come from?